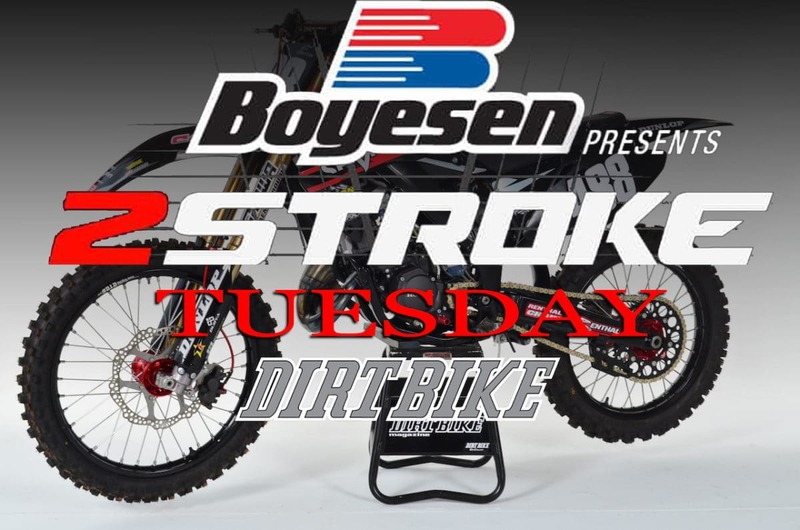 A blacked out 2006 CR125 project bike built by C4MX for Jake Lyon to take on the 125cc Pro class at this year’s MTA 2-Stroke World Championship is featured on this week’s Two-Stroke Tuesday brought to you by Boyesen. 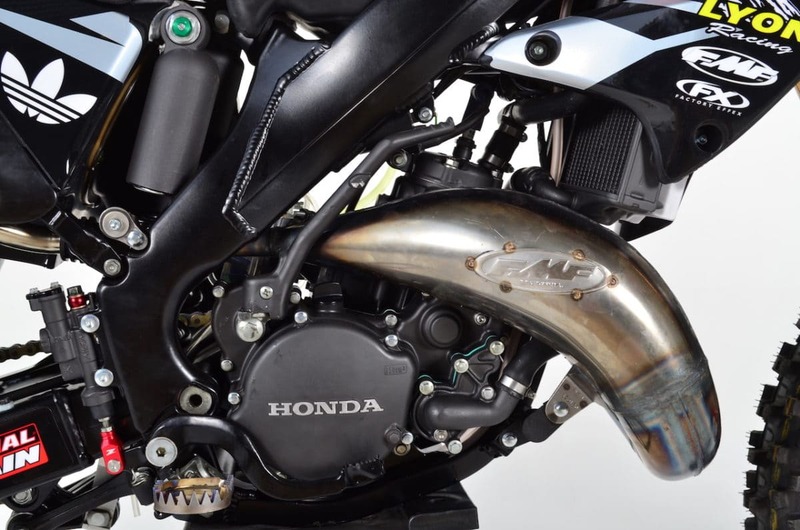 Products from Ares and Tag Metals are featured in the Hardware section while 2-Stroke Theater has a few rare project bikes in action. 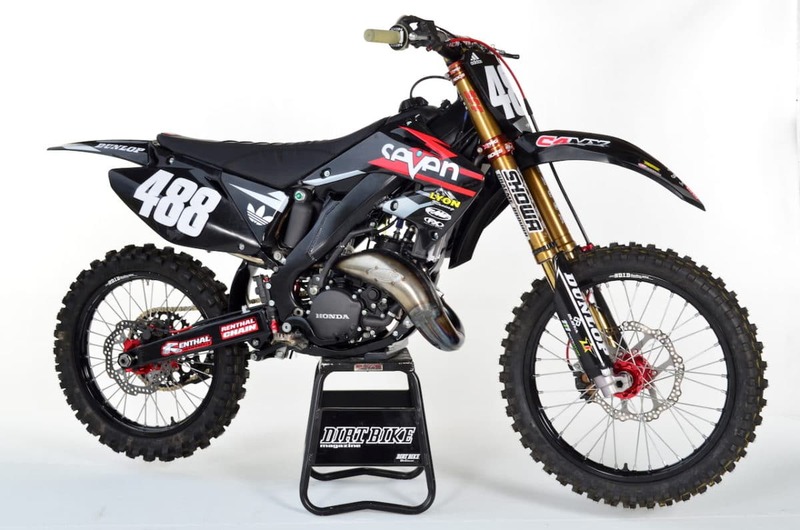 Honda CR125 faithful won’t want to miss the exclusive link to our CR125 Dream Bike build at the bottom of this post! 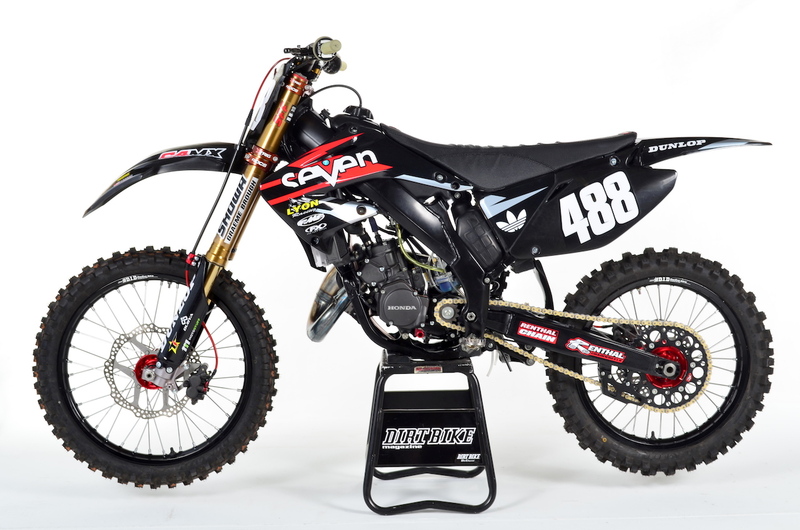 This Honda CR125 looks like your average project build at first glance but if you take a closer look it will surprise you! 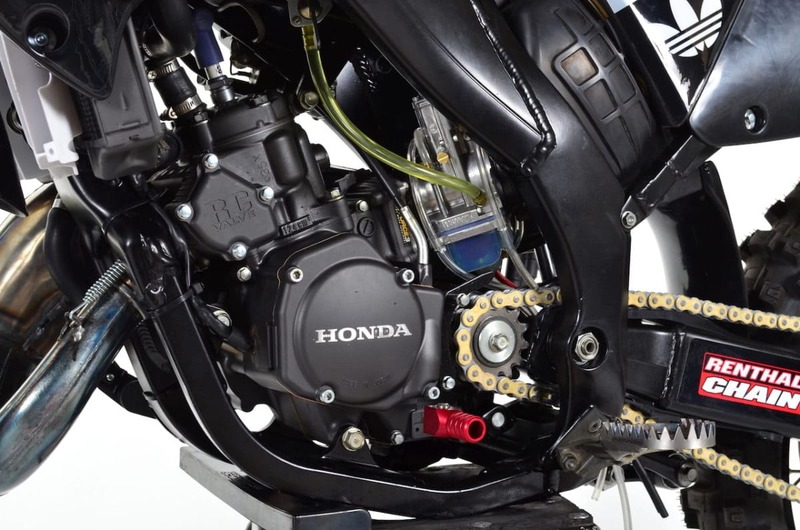 The CR125 engine has huge amounts of work done inside and out. The outside features a black Cerakote finish that matches the overall theme. The FMF Factory Fatty stands out like a diamond in the sea of black. Does Anything look out of place? The shock is actually off a KX450F! We haven’t completely figured out how they did it but C4MX made it happen. 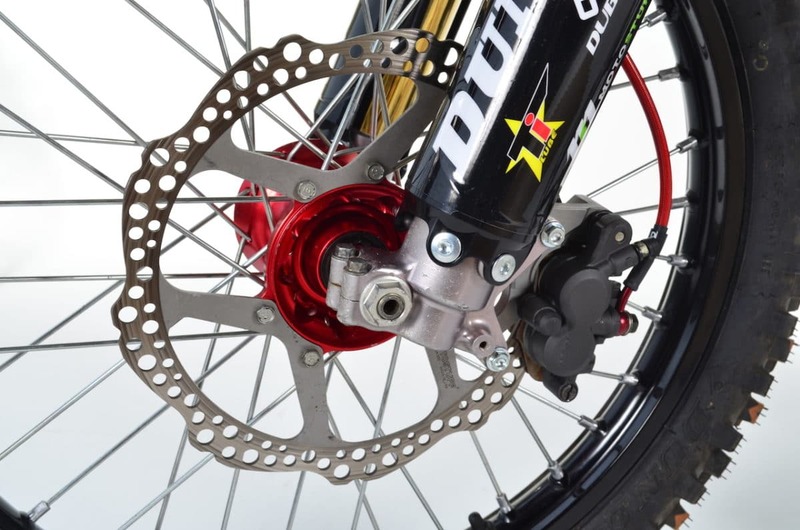 The MotoStuff oversized front rotor kit adds tons of stopping power and the Cerakoted front brake caliper teamed with red Kite hubs from Dubya give the machine a factory look. 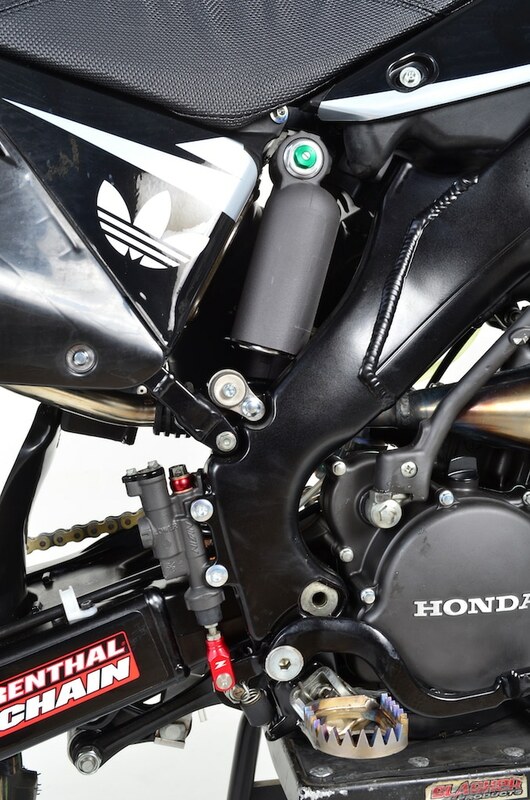 That fork set up was definitely not stock on a CR125 in 2006! Those are Showa A-Kit forks off Jake’s CRF250R. Ported cylinder, milled head, V-Force reeds, Lectron Carb and VP Fuel inside has this C4MX built machine breathing fire. Pictures don’t do this CR125 justice you really have to see it in person. The list of modification is mind-blowing. During the rebuild every part on the bike received attention. 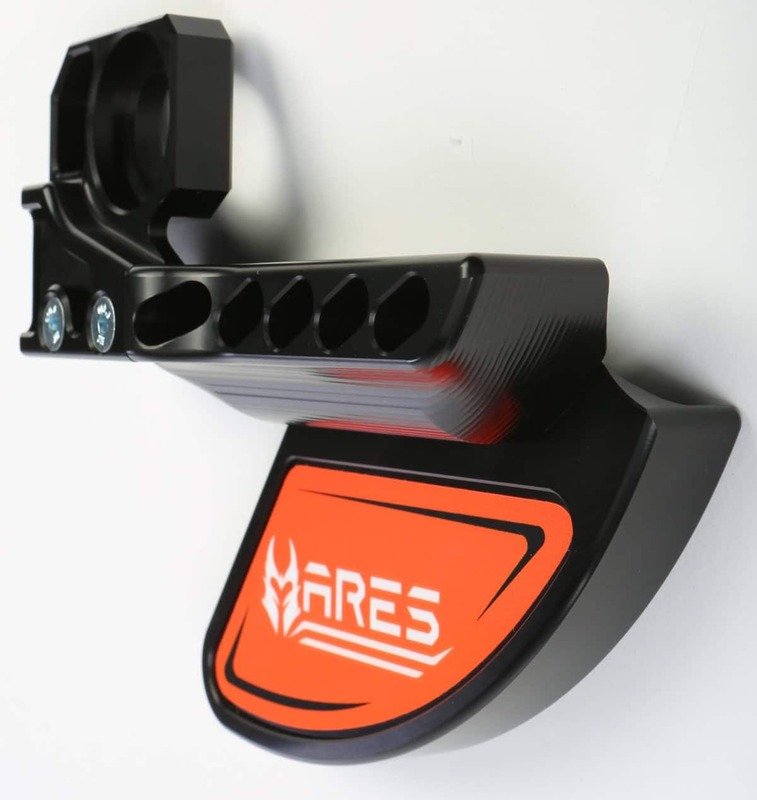 Machined out of high quality 6061 billet aluminum Ares rear KTM disc guard takes the place of your chain adjustment block utilizing the strength and stability of the swing-arm. The main body is anodized to prevent oxidation and the inlaid sticker is customizable. 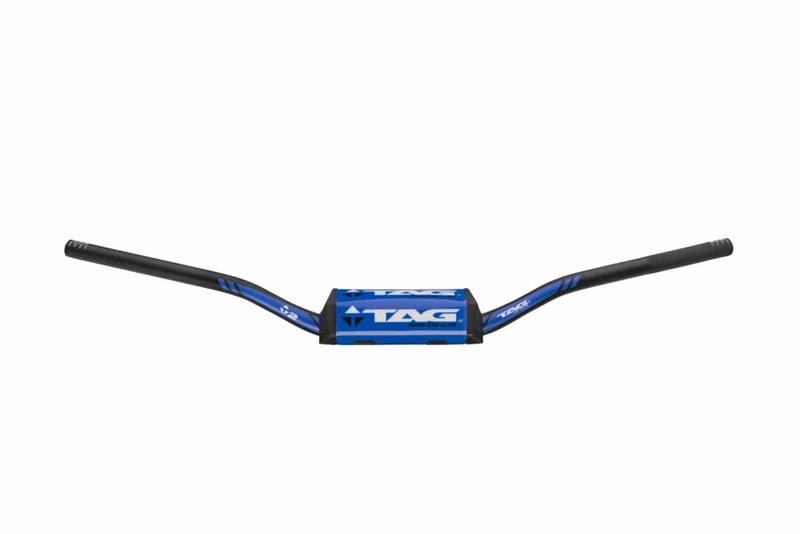 The Tag Metals T2 OS handlebar is a 1 1/8 bar tampered to 7/8 for use with standard grips and controls. Constructed from 2014 series aircraft aluminum using computer aided bending and profiling for precise specifications. Available in 7 popular factory bends and team colors. 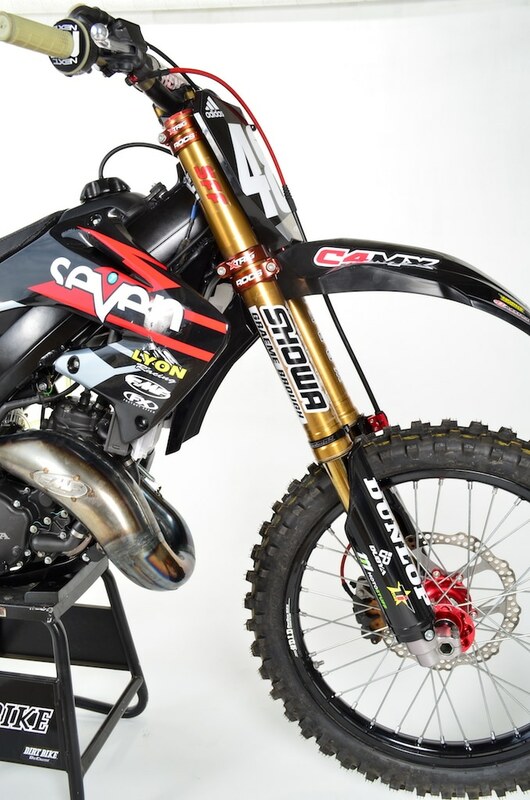 If you like the Honda CR125 build above you will love our CR125 Dream Bike built by Justin at Moto Whips . Click the link or image below!